Founded in 1990, visiting the Nashville Zoo at Grassmere is one of the most popular things to do in Nashville, TN with kids. 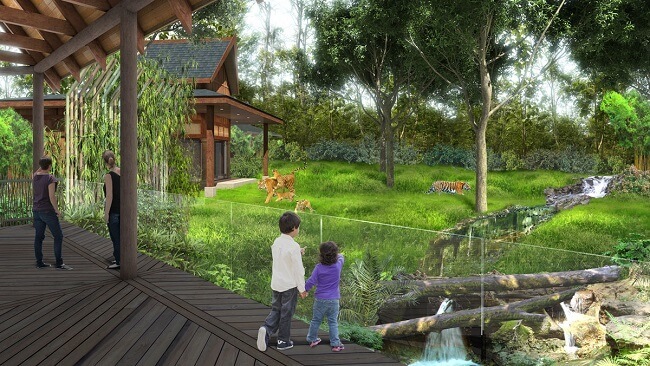 Visitors get to see well over 6,000 different animals from hundreds of species in this 82-acre zoo. A few unique animals in the Nashville Zoo include red pandas, white rhinos, and clouded leopards…oh my! In addition to seeing hundreds of rare animals, kids can play in the zoo’s highly reviewed Jungle Gym. This zoo is open seven days a week between 9AM and 4PM for most of the year. You can find the Nashville Zoo just a few miles southeast of downtown Nashville at 3777 Nolensville Road. If you only have time to visit one park in Nashville, definitely schedule a stop at the 132-acre Centennial Park. Named after the 1897 Centennial Exposition that took place here, Centennial Park has tons of incredible things to see and do. Most kids just enjoy throwing some bread to the local ducks, but there’s also a vintage steam engine you can take a ride on through the park. The most iconic structure in Centennial Park, of course, is the Parthenon. 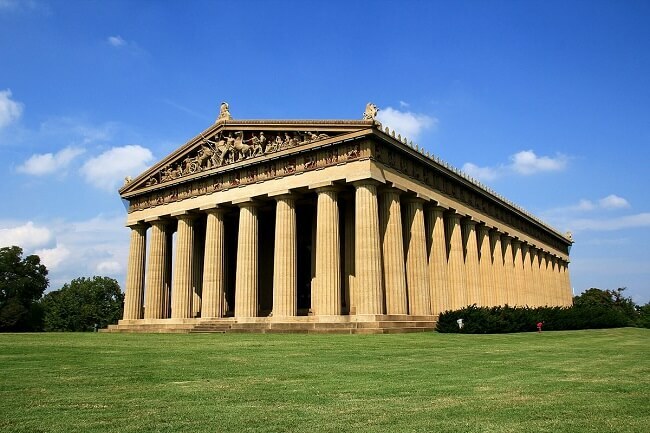 Built for the Centennial Exposition, this permanent Parthenon structure is one of the best reproductions of the Ancient Greek masterpiece…outside of Athens, of course. Centennial Park is located at West End and 25th Avenue North. Are your children looking for a bit of adrenaline-induced adventure on their trip to Music City? If so, then you definitely need to check out Nashville’s award-winning Escape Room at 162 3rd Avenue North. You can choose from seven different escape room adventures at this fun attraction. A few of the more popular escape rooms offered in this complex include Gold Rush, Prison Break, The Heist, and Mission: Mars. All of these one-hour escapes not only test your child’s wits, but also encourage communication skills and teamwork. Although it’s relatively new, Nashville’s Escape Room always ends up on today’s top ten lists of things to do in Nashville, TN with kids. Another one of the best things to do in Nashville, TN with kids is take a voyage on the General Jackson Showboat. Launched in 1985, this 300-foot paddleboat offers midday rides down the picturesque Cumberland River. While onboard this massive Antebellum-style vessel, you’ll get to watch a show in the boat’s Victorian Theater and eat at a buffet restaurant. Be sure to check for special package deals and holiday-themed shows before booking your trip on this exceptional showboat. The General Jackson Showboat is located extremely close to another iconic Nashville tourist draw: Andrew Jackson’s Hermitage. Believe it or not, the Tennessee State Museum is one of the largest state museums in the USA. At over 700,000 feet, you’ll certainly find plenty of attractions to take in as you tour this massive complex. You’ll find artifacts from Tennessee’s past stretching back some 15,000 years. 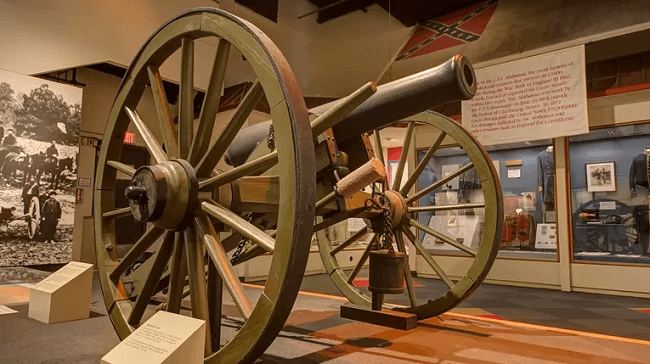 Some of the major permanent exhibits here include President Andrew Jackson’s Legacy, the Civil War, and the Reconstruction era. A visit to the TN State Museum is certainly one of the best things to do in Nashville, TN with kids who are interested in history. The TN State Museum can be found at 505 Deaderick Street. 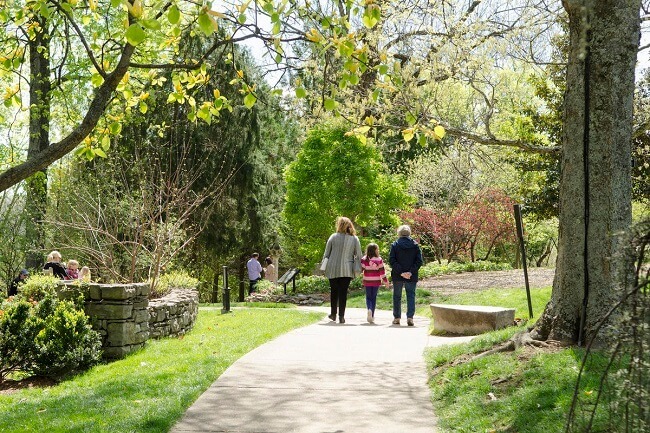 Created by the founders of Maxwell House, the Cheeckwood Botanical Garden and Museum of Art is one of the greatest things to do in Nashville, TN with kids during the holidays. While touring this 55-acre estate is well worth the admission fee any time of year, Cheekwood goes all out with Christmas light displays and Santa meet-and-greets once December rolls around. Everybody who visits Cheekwood has an exceptional time admiring the beautiful flowers and the estate’s rare works of art. This botanical garden is located at 1200 Forrest Park Drive. 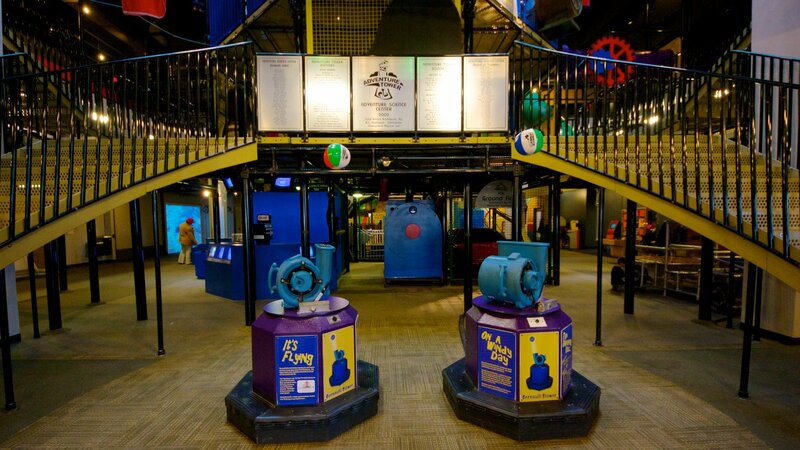 If your child is a science geek, then you must visit the Nashville Adventure Science Center. Formerly called the Cumberland Science Museum, this Adventure Science Center has tons of exciting educational exhibits ranging from beekeeping to the physics of light. While your kids are having a ball exploring these hands-on exhibits, they’ll also be learning a great deal about biology, physics, dinosaurs, and outer space. The Adventure Science Center can be found at 800 Fort Negley Boulevard. Get your cameras ready for some selfies! That’s right, we’re closing our list with a visit Madame Tussauds Wax Museum in Nashville. As you could imagine, this particular museum focuses on country music celebrities like Luke Bryan, Tim McGraw, and Johnny Cash. However, you’ll find music legends from other genres as well, including pop, jazz, and rock ‘n’ roll. Stop in at the recording studio and step on stage with all your favorite singers and songwriters. Be sure to take a picture with the one and only Elvis Presley before you leave this exceptional museum. You can find Madam Tussauds Nashville at 515 Opry Mills Drive. As you can see from the above list, there are plenty of great things to do in Nashville, TN with kids. If you’re traveling through Music City with your children, you should have no problem keeping them entertained for a few days, or even a few weeks. Just pick a few of the above travel destinations and get ready to have one of the most memorable family vacations of your life.